You need a free account to login to hattrick youthclub. 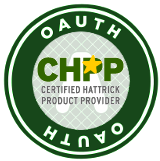 This account is connected to your Hattrick account via CHPP with oAuth (Hattrick's new login system). If you were already a member of hattrick youthclub when we used the Security-Code to login, please register here again and all your old data will be automatically transferred to your new account. In Hattrick you can revoke the access to your data by hattrick youthclub at any time! For your registration you must provide us with permission to access your data from Hattrick. We redirect you to Hattrick and you have to log in there. With your log in you have granted us access to your data and your account with us has been created. Here you can choose which rights you want to grant hattrick youthclub for accessing your Hattrick data.